Pinoymiler is fortunate to have a track legend supporting our cause. Two (2) time Olympian, seven (7) time SEA Games champion, and current national record holder of the 3,000m steeplechase, HECTOR BEGEO. Mr Begeo is now based in Australia. He was first introduced to this blog when I sent him a request for an email interview in 2010. He was gracious enough to grant us the interview and after that, has become an avid follower of this blog. To honor one of the Philippine’s great track legends, this Page is exclusive devoted to him for his memoirs during his heyday at the oval. 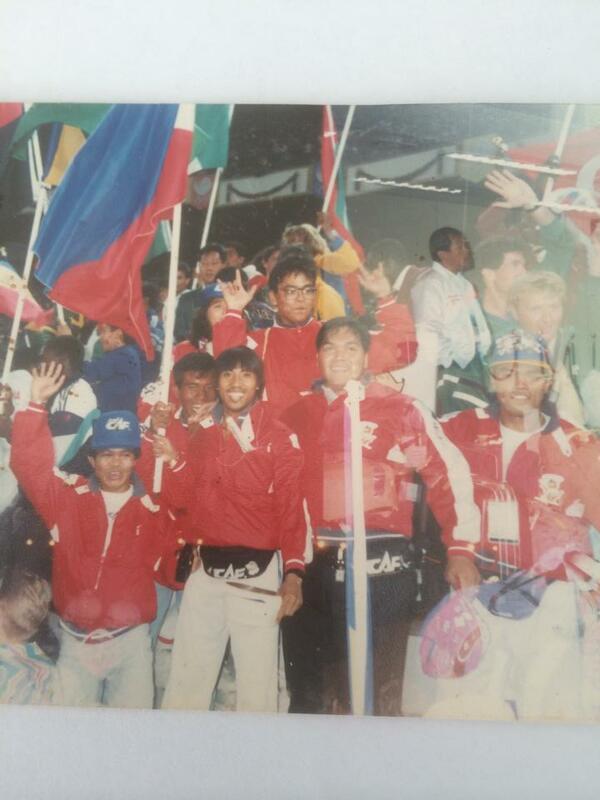 Isa sa pinaka masaya at memorable na competitions na sinalihan ko – ang 1988 Seoul Olympics. Dahil ito ang pinaka peak ko. Dito ko na set ang Philippine National Record nung semi-finals ng steeplechase na 8:35.09. Sa Olympic Village kami nag stay at ang roommate ko noon ay si Coach Claro Pellosis. Hector Begeo was the last Filipino Track and Field athlete to qualify for the semi-finals in the Olympics. He clocked 8:46.60 in heat 1 of the qualifying heats to place 8th among 11 entries. In the semifinals, 12th of 12 but set the still standing Philippine record at the 3,000m steeplechase. Eric Buhain was appointed as Chairman of the Philippine Sports Commission in 2001. In 2005, he was appointed as the chairman of the Games and Amusements Board. Benjamin McMurray placed 9th at the heavyweight division of the Judo competitions. Mula June 1981 hanggang February 1986, sa Baguio Teacher’s Camp oval ang training ng Track and Field team. Malaki ang naitulong sa performance ko ang Baguio training dahil sa ito ay high altitude. Base sa first year ko sa training camp malaki ang improvement ko sa 1500m from 4:10 to 3:52, sa 3000m steeple from 9:18 to 8:52 and 5000m from 15:20 to 14.44.44. Training starts at 7:30am hanggang mga 9:30am depende sa mga training workout. Ang naalala kong room mate ay ang walkathoner na si Rostico. Ang in-charge sa food and nutrition namin ay si Camp director Nars Padilla. Front row L-R: Enocincio Maquiling, Andre Rosale, Casanova, Danilo Jarina, Ruben, ?, Manuel de Oro,?. Yung iba hindi ko na mantandaan ang names kaya “?” and yung iba I cannot recall their last names na.